November 2014 Photo Challenge #eatfoodphotos: The Food Photo-A-Day! 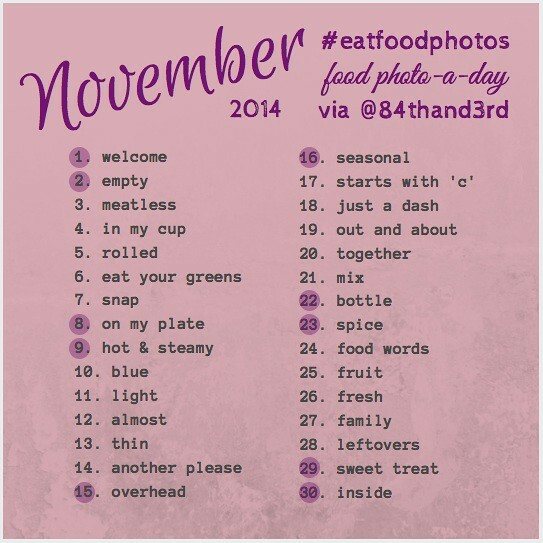 Welcome to #eatfoodphotos for November 2014! I’m trying to decide if the year is going faster due to this challenge or not, it seems like I’ve only just started October and November is already upon us tomorrow! Now for the nuts and bolts of it all — same hashtag as always, so we have our own little ongoing #eatfoodphotos collection where you can see all the pics from the monthly challenges, no matter where you are playing along. I’ll be on Instagram, Twitter and Tumblr per usual – pop by and say hello! You can see the #eatfoodphotos Instagram feed over on Facebook too. Take a food inspired photo each day of the month that corresponds to the date and prompt in the list above — feel free to interpret the prompts any way you’d like with a food related photo. Use the hashtag #EatFoodPhotos to post and share your photo wherever you’d like — including Instagram, Facebook, Twitter, Flickr, Pinterest, Tumblr, Eyeem, G+, Vine or your blog. That’s it! Anyone is welcome to join, if you have any questions let me know and please share with others – the more the merrier. If you are new to #eatfoodphotos you can see all the past challenges here. 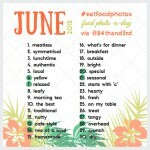 June 2015 Photo Challenge #eatfoodphotos: The Food Photo-A-Day! 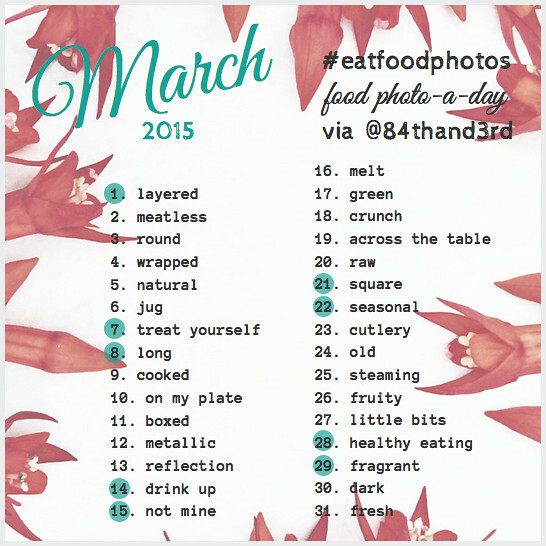 March 2015 Photo Challenge #eatfoodphotos: The Food Photo-A-Day! 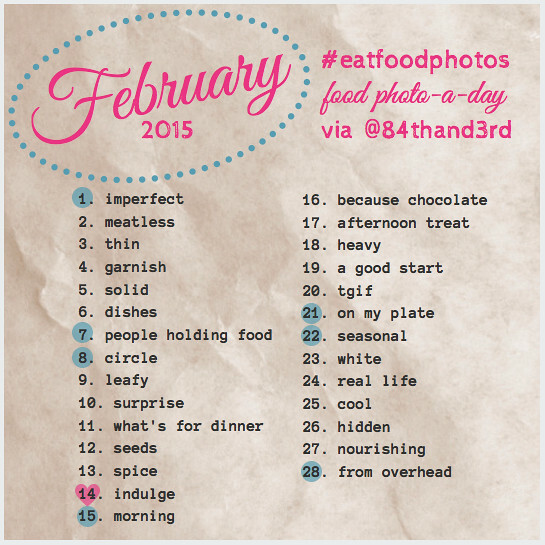 February 2015 Photo Challenge #eatfoodphotos: The Food Photo-A-Day! 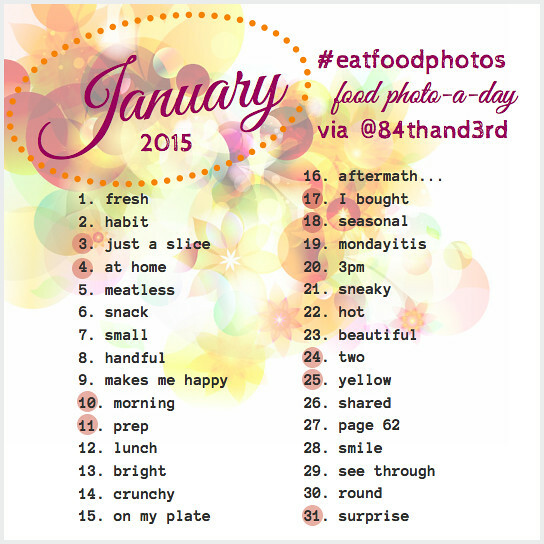 January 2015 Photo Challenge #eatfoodphotos: The Food Photo-A-Day!